Adams, Bertha Southey. Identified as Australian and female in ANFD. —–. “A Wandering Lamb” (1897; children’s fiction in 4 parts), I, links to other chapters available via the ANFD. —–. “Betty” (1896; children’s fiction), I, II. —–. “Darliea: A Fairy Tale of Ceylon” (1897; children’s fiction in 7 parts), I, links to other chapters available via the ANFD. —–. Ethel: The Short Tale of a Tennis Ball (1898; children’s fiction), I, II. —–. In the Heart of the Glowing Coals (1898; children’s fiction), I, links to other chapters available via the ANFD. —–. Monica (1897), I, links to other chapters available via the ANFD. —–. The Three B’s (1899; children’s fiction), I, links to other chapters available via the ANFD. —–. Yu-Yu’s Love Tale (1898, children’s fiction in 4 parts), I; links to other chapters available via the ANFD. Baker, Louisa Alice***** aka Mrs L A Baker, and Alien (1858-?). Caffyn, Kathleen aka Caffyn, Mrs Mannington and Iota (romance) (1853-1926), A comedy in spasms, Hutchinson, London, 1895, 282 pp. Carmichael, Jennings. Identified as Australian and female in ANFD. Castilla, Ethel. Identified as Australian and female in ANFD. —–. “The King of the Downs” (1899), I, II. —–. Tracked by bushrangers : and other stories : together with, Work for the Master : a series of papers for women, (romance) George Robertson and Co., Melbourne, 1891, 95 pp. Couvreur, Jessie aka Tasma (1848-1897), A Sydney Sovereign and Other Tales, Trübner & Co, London, 1890, 219 pp (romance). —–. The penance of Portia James, William Heinemann, London, 1891, 293 pp. Delphia. Identified as Australian and female in ANFD. —–. “A Holiday Adventure” (1897; children’s fiction; in 7 parts), ch1; links to other chapters available via ANFD. Duncan, Lindsay. Identified as Australian and female in ANFD. Field, Catherine Eliza Somerville: aka Parker, K. Langloh (1856-1940), Australian legendary tales, Melville, Mullen & Slade, Melbourne, 1896, 132 pp. Fisher, Mary Lucy (Lala) (1872-1929) (ed. ), By creek and gully : stories and sketches mostly of bush life, told in prose and rhyme, by Australian writers in England, T. Fisher Unwin, London, 1899, 308 pp. Foote, Maria Hannay, aka “Egeria” and “Tau”. Identified as Australian and female in ANFD. —–. A Whim of the Mistress (1894), ch1; links to other chapters available via ANFD. —–. Astera-kesphoros; The Star of Healing (1895), ch1; links to other chapters available via ANFD. —–. “The Black Dingo of Weeri Yeela” (1892; in seven parts), ch1; links to other chapters available via ANFD. —–. “Buntie Reed and His Mare Blossom” (1895; in five parts); ch1; links to other chapters available via ANFD. Forrest, Mabel. aka M Burkinshaw and “Reca”. [Sister of Ethel Mills.] Identified as Australian and female in ANFD. Forrest published many pieces during this decade. The following list is a random sample only. (Full list here.) A collection of her stories was published as The Rose of Forgiveness and Other Stories in 1904. Fortune, Mary Helena. aka “Waif Wander” and “W.W.”. —–. “A Bunch of Shamrocks” (1891), available via TROVE. —–. “The Heart of the Hills: Or Hilda’s Christmas Gift” (1897), available via TROVE. —–. “The Story of a Waif” (1898), available via TROVE. —–. Dave’s Sweetheart, Melville, Mullen and Slade, Melbourne, 1894, 264 pp. —–. Deadman’s, Methuen, London, 1898, 304 pp. —–. The Other Man (1894), ch1; links to other chapters available via ANFD. Goldstraw, Matilda, aka Noel Hope. Identified as Australian and female here. Halcro, Hugh. Identified as Australian and female in ANFD. —–. “Captive and Captor” (1899). —–. “The Ghost of Murray’s Plains” (1897). —–. “King Peter” (1896), I, II. —–. “Peace and Goodwill” (1894; a Christmas story). Ham, Alice. Identified as Australian and female in ANFD. —–. “Her Steadfast Purpose” (1890; a Christmas story). —–. Through the Mill (1890; in 5 parts), ch1; links to other chapters available via ANFD. Hackney, Esther. Identified as Australian and female in ANFD. Ham, Alice. Identified as ANFD. Hammill, Mrs Herbert. Identified as Australian and female in ANFD. Harris, Mrs Julia S aka Mrs Robert Harris. Identified as Australian and female in ANFD. —–. “Outwitted; Or, Diamond Cut Diamond” (1897; in 3 parts), ch1; links to other chapters available via ANFD. —–. “Sir Jaspar’s Ward, or The Wraith of Trevor Park” (1894; in 3 parts), ch1; links to other chapters available via ANFD. —–. “From Shadow Land; or A Traveller Returned” (1892). Hart, Annie A. Identified as Australian and female in ANFD. Hodge, E. Baldwin. aka Mrs Baldwin Hodge. Identified as Australian and female in ANFD. Kaeppel, Mrs Frances. aka “Mimosa”. Identified as Australian and female in ANFD. Kidgell, Ada A. Identified as Australian and female in Australian Newspaper Fiction Database. Knowles, Marion Miller aka Marion Mille (1865-1949), Barbara Halliday: a story of the hill country of Victoria, George Robertson and Co., Melbourne, 1896, 320 pp. Lewin, Frances Sescadorowna. aka Sesca Lewin Somerville. Identified as Australian and female in ANFD. Luffmann, Laura Bogue. aka “C Bogue Luffman”. Identified as female and Australian in the ANFD. McBurney, Mrs M.E. aka Alice Flax and “Flax”. Identified as female and Australian in the ANFD. —–. Girls Together, Angus & Robertson, Sydney, 1898, 226 pp. Martin, Harriet Anne aka Martin, Mrs Patchett (1837-1908), (ed.) Coo-ee: tales of Australian life, by Australian ladies, Griffith Farran Okeden & Welsh, London, 1891?, 318 pp. Montefiore, Caroline L, aka “Eric”. Identified as female and Australian in the ANFD. —–. Miss Mellisham’s Romance (), ch1; links to other chapters available via the ANFD. Nelson, Harriet Arnold (?-1930? ), The Romance of the Greystones, An Australian Story, Ward, Lock & Co., London, 1899, 314 pp. Palmer-Archer, Laura M. aka “Miss Archer”. Identified as Australian and female in the ANFD. Petersen, Miss Elizabeth Ida aka “Conatus”. Identified as Australian and female in ANFD. Philpott, N. V. Identified as Australian and female in ANFD. —–. Morning Waits at the End of the World (1897), ch1; links to other chapters available via ANFD. —–. “Sisters Three” (1894), ch1; links to other chapters available via ANFD. —–. Under The Southern Cross (), ch1; links to other chapters available via ANFD. —–. Whom The Gods Love (), ch1; links to other chapters available via ANFD. Quin, Teth aka Quinn, Ethel, The well-sinkers : an Australian pastoral, T. Fisher Unwin, London, 1899, 224 pp. Rawson, Wilhelmina Frances aka Mrs Lance Rawson (1851-1933). —–. ‘The Bushman’s Rest‘, in Martin, Mrs Patchett (ed. ), Coo-ee : tales of Australian life, by Australian ladies, Griffith Farran Okeden & Welsh, London, 1891?, pp. 177-256. Richmond, Lily, Sally: a Sydney tale, in three parts, George Robertson and Co., Melbourne, 1897, 321 pp. Rosman, Alice Grant. Identified as Australian and female in ANFD. Rowlands, Effie Adelaide. Identified as Australian and female in ANFD. —–. Woman against Woman (1896), ch1; links to other chapters available via the ANFD. Rugby, Jack. Identified as Australian and female in ANFD. Schlank, Racey. Identified as Australian and female in ANFD. —–. The Death Bone (1897). —–. In the Scrubland (1897). Scott, Winifred. Identified as Australian and female in Australian Newspaper Fiction Database. Shackell, Mrs. Identified as Australian and female in ANFD. —–. Matched and Mated: A Romance in Real Life (1893), ch1; links to other chapters available via the ANFD. Steel, Mrs E. Identified as Australian and female in Australian Newspaper Fiction Database. Stocks, A. Mabel. Identified as Australian and female in ANFD. Storrie, Agnes L. aka “Avea”. Identified as Australian and female in ANFD. Stow, Catherine Eliza. aka K. Langloh Parker. Identified as Australian and female in ANFD. Suttor, Catherine. aka Mrs Allan Suttor. Identified as Australian and female in ANFD. Sweetapple, Anna Mapleson. Identified as Australian and female in ANFD. —–. “How I Came to Australia” (1890, fiction in 4 parts), I; links to other chapters available via the ANFD. Thomas, Margaret (1843-1929), ‘The Story of a Photograph‘, in Martin, Mrs Patchett (ed. ), Coo-ee : tales of Australian life, by Australian ladies, Griffith Farran Okeden & Welsh, London, 1891?, pp. 257-270. —–. ‘To My Cigarette‘, in Fisher, Lala (ed. ), By creek and gully : stories and sketches mostly of bush life, told in prose and rhyme, by Australian writers in England, T. Fisher Unwin, London, 1899, pp. 163-166. —–. ‘Struck Gold‘, in Fisher, Lala (ed. ), By creek and gully : stories and sketches mostly of bush life, told in prose and rhyme, by Australian writers in England, T. Fisher Unwin, London, 1899, pp. 75-84. Todd, Mrs R.H. Identified as Australian and female in ANFD. —–. “A Dreadful Pickle” (1893): ch1; links to other sections available via ANFD. —–. The Camp at Wandinong (1898), ch1; links to other chapters available via ANFD. —–. “Gladys and the Fairies” (1893; children’s story), ch1; links to other chapters available via ANFD. —–. Miss Elizabeth (1886), ch1; links to other chapters available via ANFD. —–. “The Narrow Way” (1899), I, II. Waterhouse, Jessie Mabel aka Jessie Mabel Smythe and Mrs J I Waterhouse (1851-1928). —–. For Marjory’s Sake: a story of South Australian country life (1893) on iTunes here. Whitfeld, Adeline J. aka A Jamieson Wrainford. —–. Farmer Mack (1895; a story in 6 parts), ch1; links to other chapters available via the ANFD. —–. “Madge” (1892; a story in 11 parts); ch1; links to other chapters available via ANFD. —–. My Lady (1893), ch1; links to other chapters available via ANFD. —–. Rex (1894), ch1; links to other chapters available via the ANFD. —–. Uncle Turk (1894), ch1; links to other chapters available via the ANFD. Whiting, Mary Bradford (1864-1935). Few bibliographical details for this author have been found. Her book A Daughter of the Empire (1919) is cited among notes for a Monash University exhibition on Australian Women Writers. Indications that Whiting was Australian, or at least wrote in Australia, are the titles of several of her children’s books, including, Wallaby Hill and Josee: An Australian Story. For a fragment of information on Josee see here. Chapter 1 of Sir Tristram, which was serialised in 1897, contains a portrait of a female writer in her study. She also published numerous short stories for children in “The Girls Own Paper“. —–. Sir Tristram (serialised in 1897), Ch1; cont. Ch1 & Ch2; cont. Ch2; cont. Ch2 & start of Ch3; cont. Ch3 & start Ch4; cont. Ch4v; cont. Ch4, start Ch5; cont. Ch5; cont. Ch5, start Ch6; cont. Ch6 & start Ch7; cont. Ch7; cont. Ch7 (poor quality); cont. Ch7, start Ch8 (poor quality); cont. Ch8v; Ch9; cont. Ch9; ch10; cont. Ch10; cont. Ch10; cont. Ch10; Ch11; cont. 11 (4 Dec); cont. Ch11; cont. Ch11; cont. Ch12; Ch13; cont. Ch13 & start Ch14; cont. Ch14; cont. Ch14 & start Ch15; cont. Ch15 and start Ch16; cont. Ch16 (14 Dec); Ch17 (15 Dec); cont. Ch17 (16 Dec); cont. Ch18 (Dec17); Ch19 (Dec18); cont. Ch19 (20Dec); cont. Ch20 (22 Dec); Ch20 (Dec21); cont. Ch20 (Dec22); Ch21 (Dec23); cont. 21; cont. Ch21 (24 Dec); cont. Ch22 & start Ch23 (Dec 27); cont. Ch23 & start Ch24(28 Dec); cont. 24 & Ch25 (29 Dec); cont. 25 (30 Dec) (final). Wren, Jenny. Identified as Australian and female in ANFD. —–. Missing. A Christmas Story (1892), ch1; links to other chapters available via the ANFD. 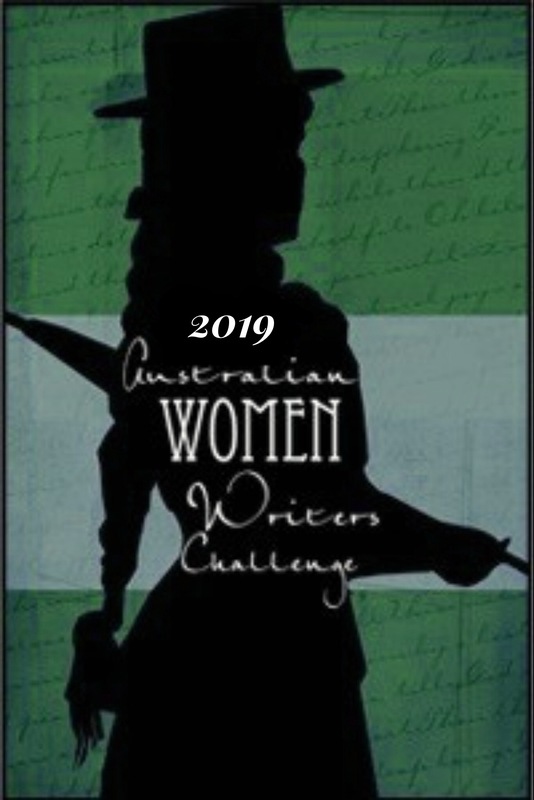 Note: For purposes of this list “Australian” is defined loosely and may include authors who wrote books while living in Australia, or who wrote books set in Australia. Many of these text were found in the Colonial Australian Popular Fiction: A Digital Archive (CAPF) and bibliographical details and genre are taken from that archive. (Note: the archivists’ definitions of “romance” might differ from contemporary views.) Links to author names where given are to the CAPF archive, unless otherwise indicated; links to online texts are either to that archive, to pdf versions from the University of Sydney Digital Archive, Project Gutenberg or elsewhere as found. If you find other texts for this list, or better links to any of the books listed below, please let us know via the contact page.